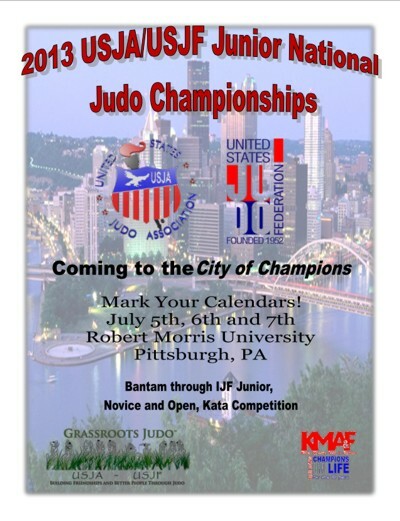 Just a reminder that Friday Walk-in registrations are accepted for the 2013 USJF/USJA Junior Nationals in Pittsburgh PA, July 5, 6 and &. Walk-in registration is limited to Friday only until 4pm. Click here for details. This is a great opportunity to attend a nearby national event as a competitor, official or a spectator. This entry was posted on June 27, 2013 at 9:47 pm and is filed under Judo Tournaments, Konan & Other Events. You can follow any responses to this entry through the RSS 2.0 feed. You can leave a response, or trackback from your own site.